Disney – The world colors, hopes, and dreams. Disney shows/ movies: we grew up watching them, imitating them and idolizing them. Disney Channel helped us bank on subtle desires of life like a crush, first music band, the high school dance troop, getting recognized among the crowd despite being no-so-fabulous. Disney Channel is all about lots of good vibes and bucketful of smiles. Every girl hopes and wishes to have her very own Disney moment as a kid. 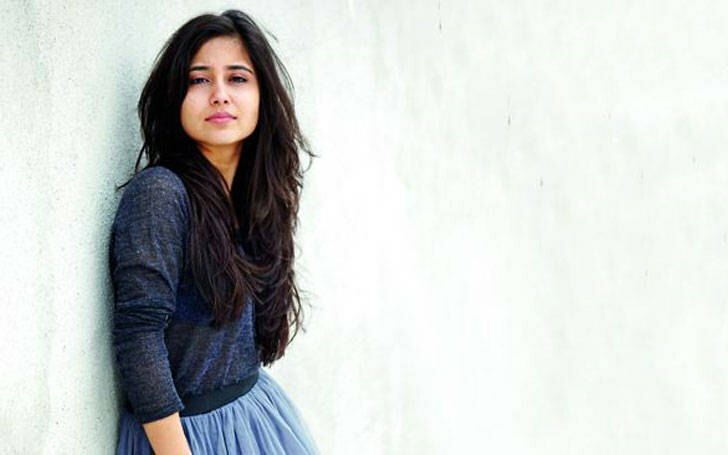 SwetaTripathi is a popular name today for her web series The Trip alongside Lisa Haydon and Mallika Dua but she rose to fame with a Disney channel India show ‘Kya Mast hai life’ . The show boasted a cast like Shaheer Sheikh , Sana Amin , Nazeen Ghani who later on became huge names in the Indian television industry . Shweta never failed to impress her audience with her knowledge of the craft . The ever cheerful and vivacious Shweta definitely out shone the rest with a stunning performance. Dhoom Machao Dhoom was somewhat Indian version of High School Musical with a hint of desi daily soaps in it . This show was a huge success for Disney channel india as it helped them strengthen their roots in the country with their very own shows. Though the story line concentrated more on Toral Rasputra and Nidhi Tolani but Maanvi Gagroo stole the show as ‘Bikki’. She was amusing and amazing with her acting talent, humour and screen presence. Maanvi later on worked in few movies in the supporting roles and then devoted herself to web series like permanent roommates and tripling. Monique Coleman had manage to hog a considerable part of the limelight in the High School Musical series . Though the movie belonged to Vanessa – Zac and Ashley Tisdale but Monique with her acting adept made sure that she could move shoulder to shoulder with the other two leading ladies . She also made a brief appearance in Suite Life of Zac and Cody as Mary Margaret . Despite many of her performances TV shows and films , fans would still love to remember her as Taylor Mckessie. 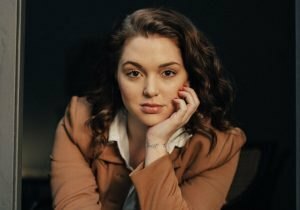 You probably remember as Abby Hanover from mean girls but if you have watched and loved ‘wizards of the waverly place ‘ you would also want to remember her as Harper Finkle. The best friends in the shows are usually written in a way to ensure that the main character hogs all the limelight and the best friends supports him/her in doing so but Jennifer still manages to shine through the little exposure and later on makes it her way up to another popular TV show mean girls. It takes a lot of effort to act stupid and at the same time bring out humor in your role . Brenda Song did that feat with utmost panache as a teen . London Tipton was more of a comic relief in the popular show ‘Suite life of Zack and Cody’ . Though the show belonged to Cole and Dylan Sprouse but as far as acting is concerned , we cannot fail to forget Brenda as London . She blended into the role so easily that we could not imagine anyone else as London ! 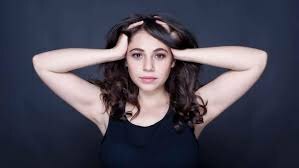 Besides that , we have also seen her as Tia in another Disney show Phil of the future which was another hit show based on a family which had left on a vacation on 2121 and time travelled back to the past. The Hannah Montanna fans very well know that Miley is incomplete without her Lily . Though the show revolved around Miley’s dual life but it wouldnot have been possible without Lily’s fun and fabulous character. 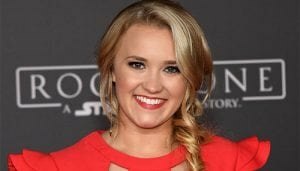 The humorous role played by Emily Osment was not only challenging but it also took a lot of effort for her to be more than just a side chick /the quintessential best friend of the lead .She was definitely the Joey to the Chandler Miley! The sensuous actress had not – so – sensuous beginnings with Disney Channel’s high school musical series as Gabreilla Montez. The onscreen chemistry between Zac Efron and Vanessa Hudges was appreciated worldwide and HSM transformed into a global phenomenon back then . The first two installment of the movie series was released on TV but due to it’s raging popularity the 3rd saga of the film was released on theatres. This movie not only shaped the career of Vanessa but also made Zac Efron and Ashley Tisdale popular household names . Thereafter the cast had their very own musical shows too . It’s been quite some time since HSM but Vanessa Hudgens continues to be the role model for geek teenagers and their urge to shatter the box they are placed inside. 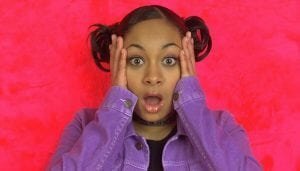 ‘That’s so raven ‘was probably the only Disney show that tried to convince young girls to move over boys and embrace your innate fabulousness . The whole attitude about the show ushered positive vibes among the teens and of course Raven Synome’s laudable performance was a huge take away. Besides her own show, we remember as a ‘Cheetah Girl ‘. Raven was an epitome of body positivity , color positivity and of course fun ! Teens related with her character and encapsulated all the joy she had to offer. Raven Synome is always a bliss to behold on screen! The fabulous Sharpay or geeky Maddie – Who is your spirit animal ? Ashley Tisdale has left us in splits ! Two iconic characters she owned and ruled and they were stark opposite to one another . If acting skills were supposed to be judged here Ashley would have won the game . She was not the leading lady but always the eye-ball grabbing one in the show . Ashley Tisdale was the embodiment of style and oomph. Her screen presence was mind-blowing and was the quintessential show man like Sharpay Evans. ‘Camp Rock’ – humble beginnings of incredible stars ! This telemovie not only had Demi Lovato but also the Jonas Brothers. The movie had remarkable soundtracks and a storyline that banked on typical high romance . Demi Lovato continued with Disney Channel with her sitcom ‘Sonny with a chance’ and it did fairly well with the audience . Though ‘Sonny’ did not stand a chance with shows like Hannah Montanna and That’s so Raven but Demi carved her niche . However , the Disney channel fans would love to remember her as Mitchie Torres from Camp Rock! She is one of the most famous female singers of this generation . We undeniably love her music its hard-hitting, amazing and sometimes sultry but most importantly they are out of the box ! 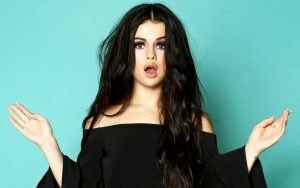 Selena Gomez was Alex Russo for the people who grew up watching ‘Wizards of the Waverly place ‘ and young girls embraced her simple yet chic fashion , gait and diction . The character was celebrated by the audience and the show went on to become a huge hit and have movie series of its own! She continued with her acting career with movies like ‘Another Cinderella story’, ‘Monte Carlo’ and ‘Spring Beakers’ and has done it fabulously . Selena Gomez was one of the few celebrated teen icons of the decade and still never fails to impress. I don’t have to repeat this name twice to help you recognize her . Fan or not ,you have definitely heard her sing . She has been one of the most successful Disney stars while working on her show Hannah Montana and thereafter her success story continued as a singer and movie star. Currently she is the reigning queen of the empire /fan base created by her and is ruling hearts and minds of people with her chartbusters. If we take her acting into consideration then all I can say that she convinced you enough to believe that Miley Stuart can become Miley Cyrus . She started off playing the role of a star and metamorphosed into a real one!